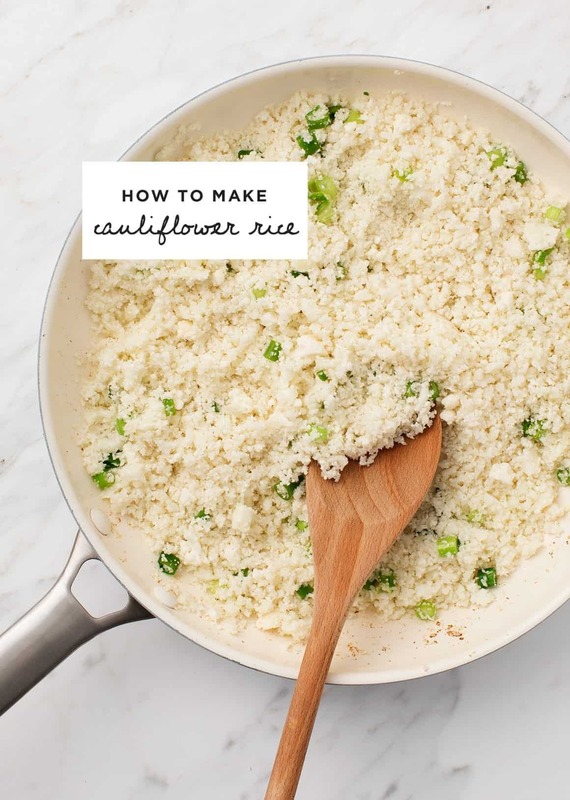 A step-by-step tutorial of how to make cauliflower rice. 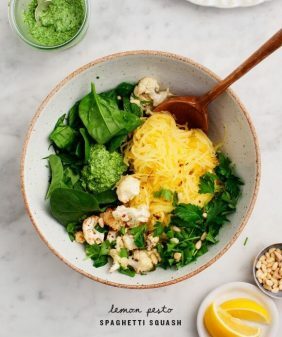 It's simple, easy and healthy! I also list my favorite recipes that use cauliflower rice. So what is it? 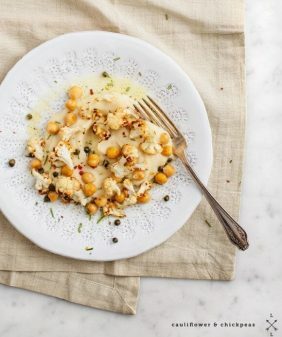 It’s simply cauliflower pulsed in a food processor until it forms into granules that are about the size of rice. Is it as good as rice? 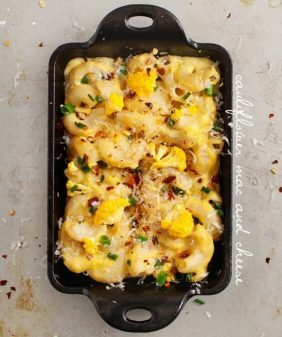 Not on its own, but it’s a great starting point health-wise and texture-wise. 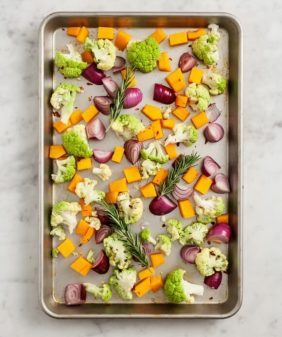 When it’s seasoned well and used in a recipe with other great flavors and textures going on, it IS delicious and you’ll feel great about getting more vegetables into your day! After your cauliflower is “riced,” you can use it plain and raw in any recipe that calls for cauliflower rice. Follow the directions in that specific recipe. If you plan to use your cauliflower rice without a recipe, or if you want to sub cauliflower rice for regular rice, I recommend lightly cooking and seasoning it to take the raw, often bitter, bite off. See specific instructions in the recipe below. Make sure your cauliflower is fully dry. 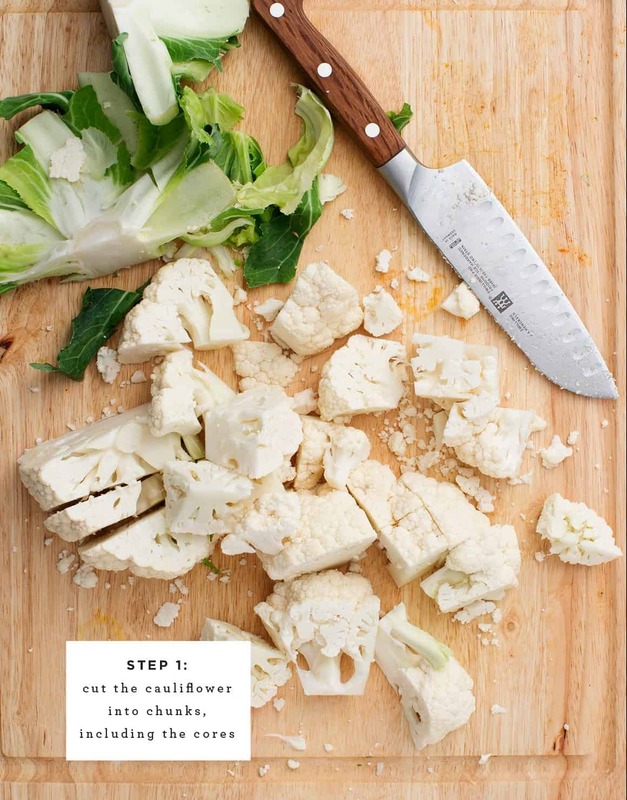 Chop the cauliflower into large pieces. You can include the cores, but discard the leaves or save for another use. 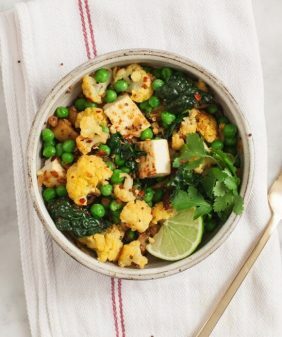 Place the cauliflower pieces in a food processor and pulse until it has the texture of rice. Work in batches if necessary and don’t over process or it will get mushy. Use this raw cauliflower rice in any recipe that calls specifically for cauliflower rice. Continue following that recipe’s instructions. If you plan to use your cauliflower rice without a recipe (or if you want to sub cauliflower rice for regular rice), I recommend lightly cooking it and seasoning it to take the raw bite off. In a large skillet, heat 1 teaspoon of olive oil over medium heat. Add the scallions and cauliflower and sauté until heated through, about 3 to 5 minutes. Season with salt, pepper and a squeeze of lime juice to help remove any bitterness from the raw cauliflower. 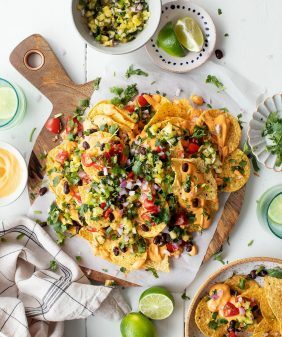 Everyone needs this recipe in their life!! I made it with my boyfriend to do some variations on our luch, and it is amazing! I have to say I was sceptical at first as my hubby and I have never tried cauliflower rice. I doubled up on the lime. Put 1 whole lime 5 scallions, 2 coves of garlic and about half cup of chopped cilantro. saved it with steamed chicken with chopped fresh ginger! Yummy! Hi Gerri, I’m so glad you both loved the cauliflower rice!